Queen Margaret Residences offer rooms to 391 students, all with en-suite facilities. 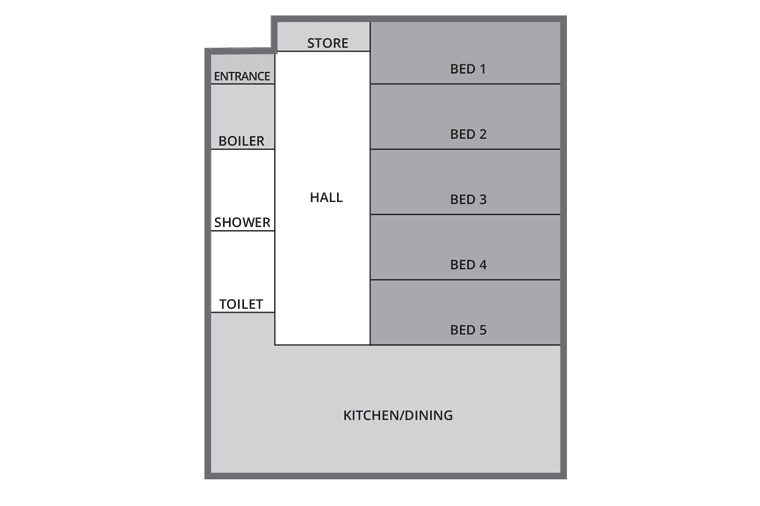 Each flat comes with a fully fitted kitchen and dining area, creating a perfect space to cook and relax with your flatmates. Other features of the all-inclusive price are caretaking and security services and on-site laundry. Wi-Fi and free personal possessions insurance through Endsleigh is also included. University campus is just a 20-minute stroll from the residences. To see everything Glasgow has to offer, the city centre is only a short bus ride away offering some great bars, clubs and restaurants. Queen Margaret Residences are just a 20 minutes walk from the University as well as being in close proximity to the West End and Botanic Gardens. Our purpose built accommodation offers a fantastic base for studying and seeing everything that Glasgow has to offer. There are plenty of stores, supermarkets, bars and restaurants on the near by Maryhill Road and Byres Road for everything you need to live student life to the full. 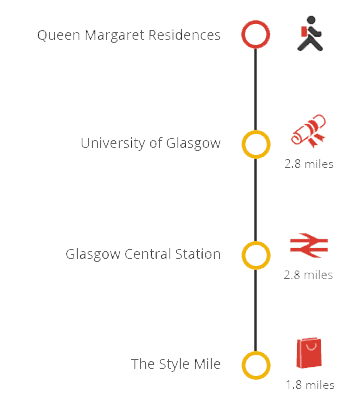 Other points of interest include the Kelvin Grove Art Gallery, as well as Loch Lomond which is just a short bus ride away if you’re to take in some Scottish culture. There are also bus stops and subway stations close by to get you around Glasgow and beyond! Queen Margaret Residences are managed by Sanctuary Students on behalf of the University of Glasgow. The University of Glasgow accommodation office receives and processes applications for accommodation. To apply, please complete a University of Glasgow online application. Students are able to collect their keys from 4pm on the day their contract begins. The reception at Queen Margaret Central Services Building is open from Monday to Friday between 8am and 6pm. Students must provide either their driving license or passport as a form of photo ID. Queen Margaret Residences now benefits from LaundryView which will make doing your laundry on-site even easier. The system, created by Circuit, allows you to go online and check the availability of washers and dryers in your building as well as see when other washes are about to end.